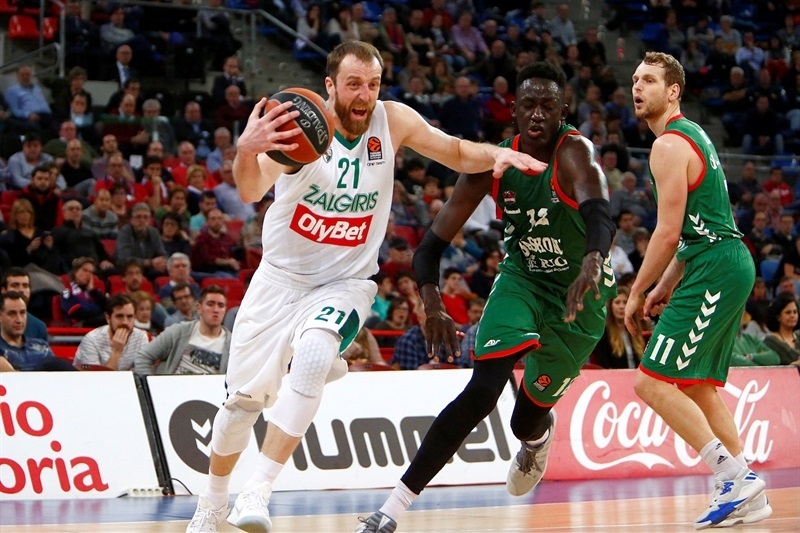 Zalgiris Kaunas finished its Turkish Airlines EuroLeague season on a high note by downing Baskonia Vitoria Gasteiz 79-84 on the road on Thursday. 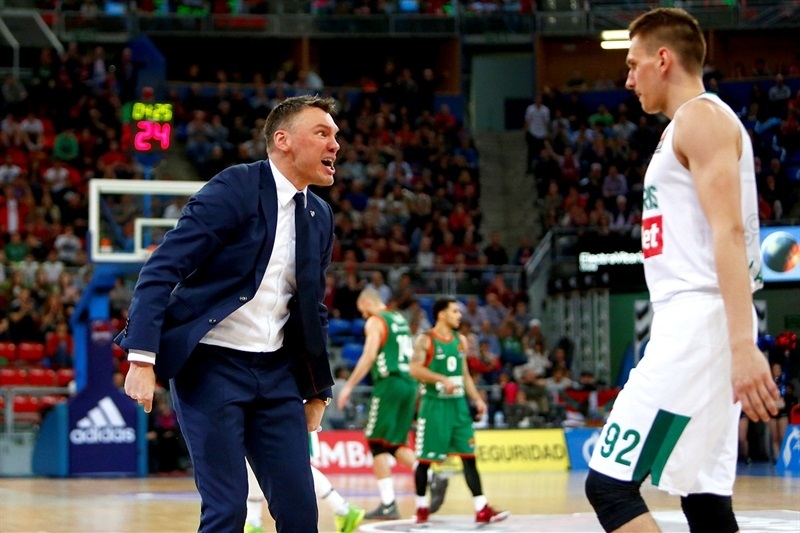 Zalgiris finished the regular season in 10th place with a 14-16 record, while Baskonia ended at 17-13 and needs to wait until Friday to learn its opponent in the EuroLeague playoffs. 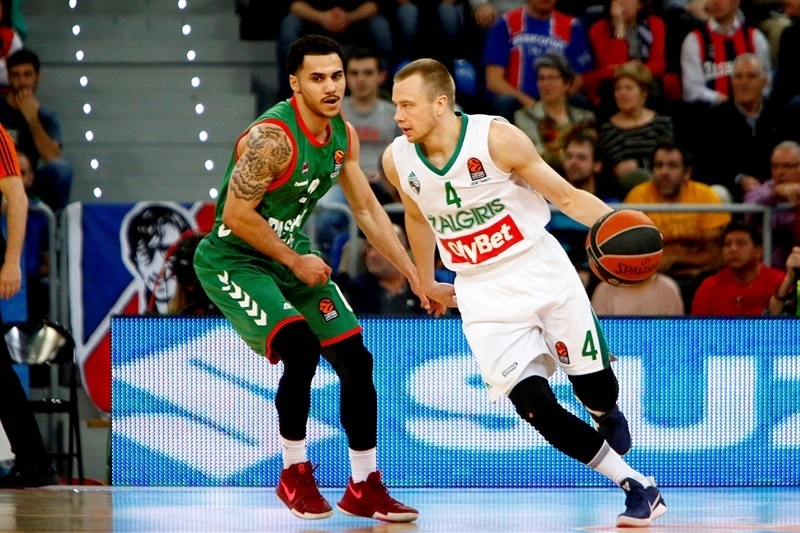 Kevin Pangos led the winners with 15 points, Leo Westermann tallied 13 points and 9 assists, Brock Motum scored 13 points, Edgaras Ulanovas had 12 and Paulius Jankunas 10 for Zalgiris. 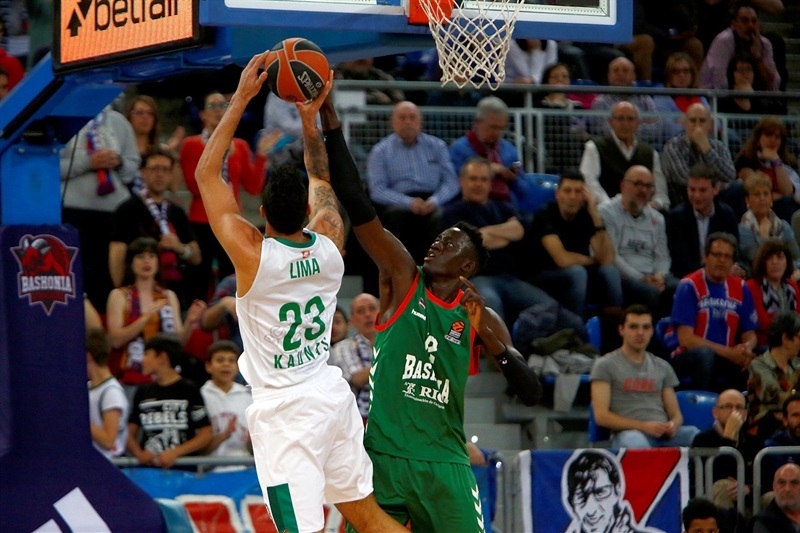 Shane Larkin led Baskonia with 20 points and 6 assists, Rodrigue Beaubois added 16 points, Kim Tillie had 13 and Jaka Blazic 12 for the hosts. Zalgiris outrebounded its opponents 34-37 and made 13 of 27 three-point shots (48.1%) in two of the biggest keys to the win. Beaubois got Baskonia going with a jumper, but Jankunas and Pangos each struck from downtown in a 0-10 run that gave Zalgiris a 2-10 lead. Tillie and Larkin rescued the hosts with consecutive triples and free throws by Ilimane Diop tied it at 10-10. 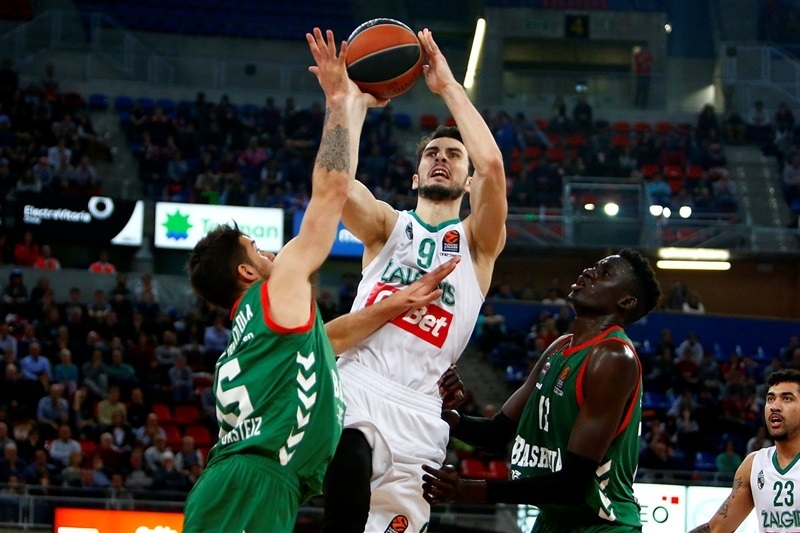 Zalgiris did not panic, however, as Antanas Kavaliauskas scored down low and Motum buried back-to-back shots from beyond the arc. Free throws by Pangos fixed the score at 16-21 after 10 minutes. Diop and Lukas Lekavicius traded jumpers early in the second quarter and free throws by Renaldas Seibutis made it 18-25. 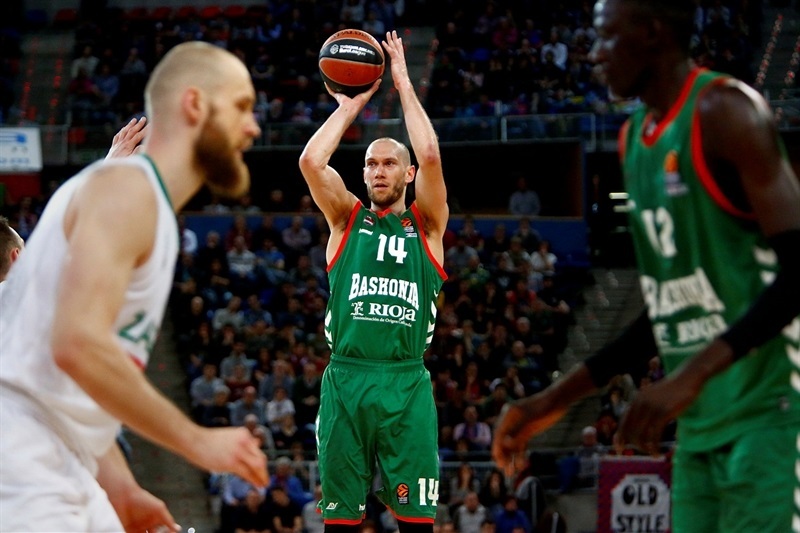 Blazic stepped up with a layup, Larkin scored off a steal and a dunk by Johannes Voigtmann kept Baskonia within 24-28. Blazic struck twice from downtown and Adam Hanga copied him to put the hosts in charge, 35-33. 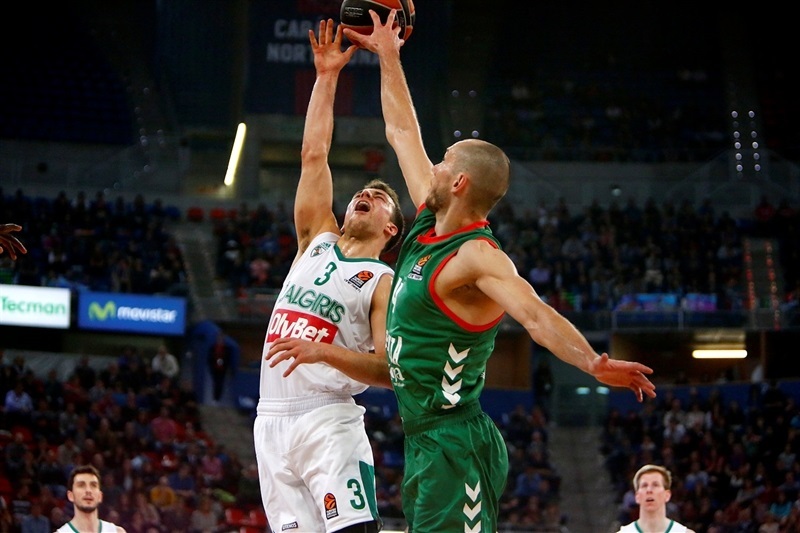 Westermann followed a three-pointer with jumper and Pangos added foul shots to give Zalgiris a 40-41 edge at halftime. 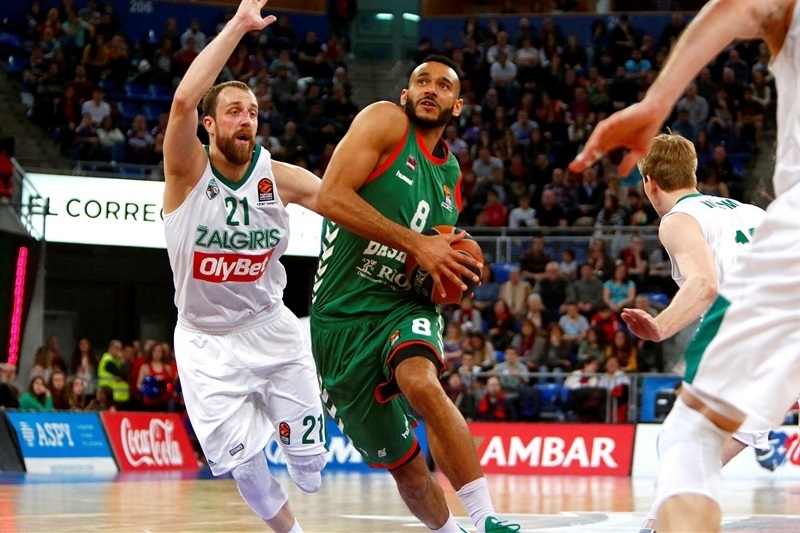 Hanga and Larkin gave Baskonia a 44-41 lead right after the break. It didn't last long, as Ulanovas, Pangos and Westermann each struck from beyond the arc, getting help from Lima before the hosts called timeout at 47-54. 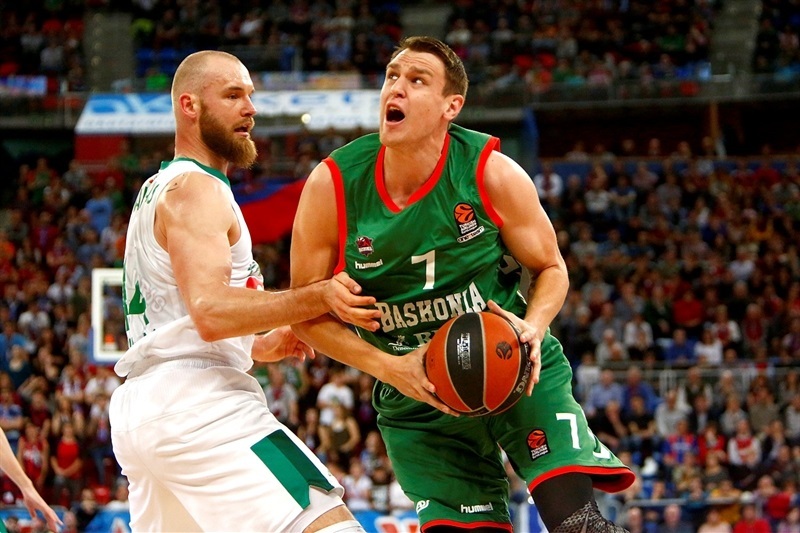 Tillie tried to change things for Baskonia, but Ulanovas followed free throws with a big basket and Arturas Milaknis nailed a couple of triples to make it a double-digit game, 56-68, after 30 minutes. Motum took over with an electric fastbreak layup, but Beaubois followed a three-pointer with an off-balance jumper and Larkin nailed a big triple in transition to give the hosts hope at 67-72. Jankunas followed a jumper with a backdoor layup and soon added a floater for a 71-78 Zalgiris lead with three minutes left. Chase Budinger found his first points and Beaubois followed a floater with a three-pointer to get within 79-81 with 56 seconds to go, but Pangos hit a critical triple that seal a quality road win for Zalgiris. "We should have started the game playing tougher. It is true that we had two very good opening defenses in which they scored very good baskets, but after that, we gave them two or three options to get easy baskets in the low post. We improved our defense after that, but struggled a lot against their pick-and-roll and pick-and-pop situations with Jankunas. We prepared a special situation playing with two power forwards, but we didn't have them; Toko Shengelia was out and Chase Budinger's foul problems did not allow us to do it. In the end, we had a chance to win, but did not make the right choice on defense against Westermann and Pangos, they scored and now we have to think that any opponent will be good for us. We are in the playoffs and have to compete against anybody. We would be disappointed if we didn't have a chance to be in the playoffs, or the skills and the courage to overcome long-time injuries, or belong to a team that doesn't fight for its goals, or losing the last seven games. 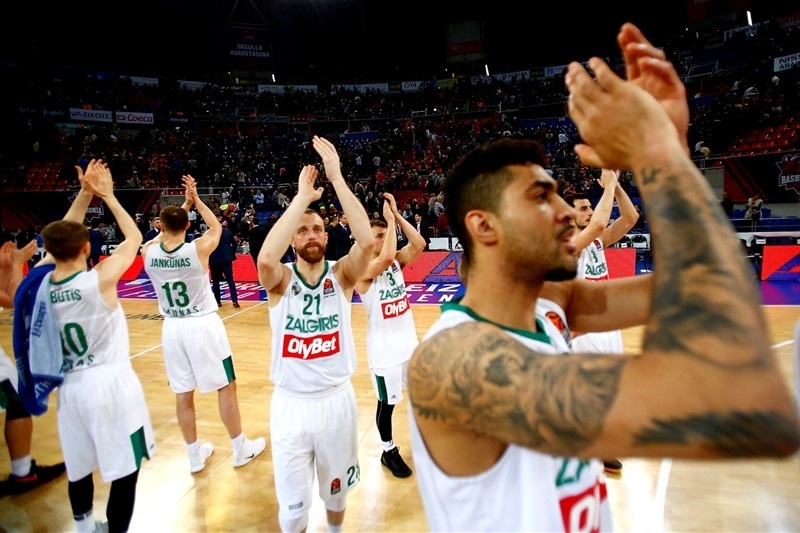 We didn't play well against Panathinaikos and Zalgiris, but we have to improve and feel proud of what we did until now and try to be as competitive as we can in the playoffs." "We are very happy to finish the season this way. We have been fighting all year playing, I think, good basketball, and I think the guys deserved to finish with a good road win. We have been doing an amazing job on the road. I think there is a lot to be proud about this season with Zalgiris. We are very happy and I think there is a lot to be proud about, not just in the number of wins, but also in the way we played basketball and acted, how great the atmosphere was inside the team and how much our young players improved. I think it was a great season for them. It was great to see them improve. It is good building block for the future and wherever there is to come. 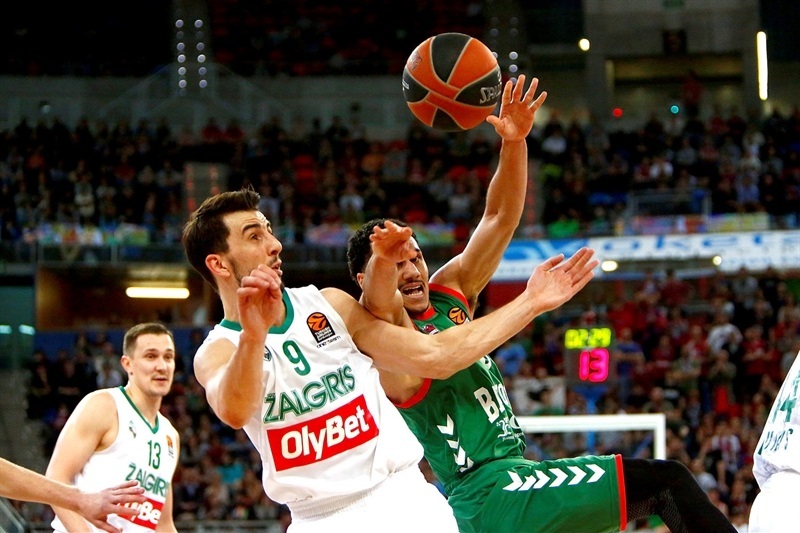 For me, it would not be a surprise if Baskonia made it to the Final Four. They were there last season and have experience in these kinds of games, as well as great fans. 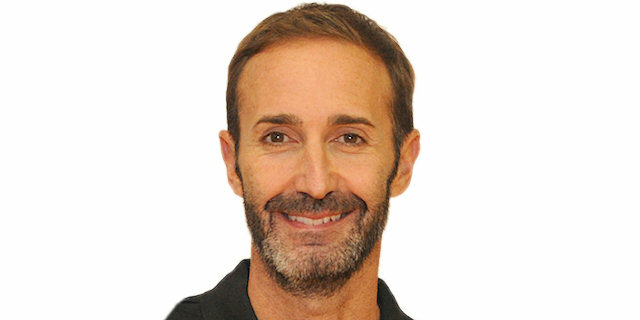 It is very difficult to win here and they have a lot of talent, along with experience. 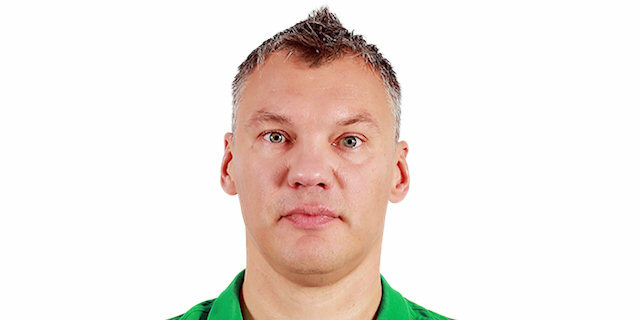 That will be very useful to fight for the chance to play in the Final Four."